High Country Autumn... spectacular changes of colour in the cool climate trees which abound in the streets, parks & gardens... early frosts... country roads flanked by Poplars brushed in pure gold... fresh mountain air... mushroom season starts ... come on up!" 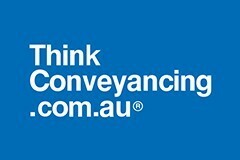 Conveyancing Made EasyA conveyancing-only law firm, where top priority is to maximise your savings while minimising your legal risk. Call now. Complimentary Dinner?Ask about our 'ditch your device' campaign. Willing to sacrifice your devices for the weekend? Outback NSW 4WD SafariKatoomba to Lightning Ridge, 8th to 17th July. Fully accommodated and catered 4WD Tag-a-Long Tour. 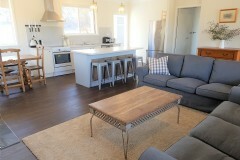 Anzac long weekend still available!We still have the weekend after Anzac Day available at Kilbeggan Cottage - book your extra long weekend now! Why not take some time out to make a snow man with the family, walk in a picturesque winter wonderland or just snuggle up in front of a log fire with that special person, a glass of fine local wine and some romantic music. At 1,113m, Oberon is the highest town in the Blue Mountains region. 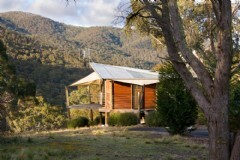 It is the perfect hub from which to explore a multitude of unique attractions, towns & villages, including Jenolan Caves and Kanangra-Boyd National Park. With four distinct, idyllic seasons and the most beautiful scenery in rural NSW, a visit to the region will reward & delight. Autumn in the tablelands brings the first promise of change and with it some interesting Cool Events. Mushrooms can be discovered in the forests, nights are becoming cool with days perfect for walking or mountain biking. Winter brings occasional snow with comfort food around cosy fires and the chance to hunt for truffles - black gold or be part of Yulefest at Jenolan Caves.